The fact that the dinosaurs came to dominate terrestrial ecosystems during the Mesozoic is not controversial. There is plenty of fossil evidence to suggest that dinosaurs evolved into a myriad of different species (some 1,300 genera have been described to date), these fossils are geographically widespread. Thanks, in part, to their origins on the supercontinent Pangaea and to the vagaries of continental drift, dinosaurs lived all over the world, from the Antarctic to the Arctic circle. However, not that much is known about how the dinosaurs spread and became globally distributed. Indeed, just how quickly the Dinosauria radiated and how soon they rose to prominence in terrestrial ecosystems remains very much open to debate. Researchers from the University of Reading have attempted to map the geographical spread of the “terrible lizards” and they conclude that the migration of dinosaurs around the world was so rapid, that eventually they ran out of land to colonise and this might have contributed to their extinction. The spread of the Dinosauria – if they originated in South America. The approximate location of the famous Triassic fossil site (Ghost Ranch) is indicated by the yellow arrow. Just when and where the dinosaurs rose to dominate the land is hotly debated. The fossil record for early dinosaurs is very poor and extremely fragmentary. This problem is compounded by the blurring of the definition of the Dinosauria, as living alongside the true dinosaurs for tens of millions of years were their closely related counterparts which together with the dinosaurs comprise the clade Dinosauromorpha. Palaeontologists can find it extremely difficult to distinguish between a true Triassic dinosaur and a contemporary dinosauromorph. It seems that in the Triassic, the ancestral forms of the Dinosauria, lived alongside the true dinosaurs for millions of years. This problem is compounded by the fact that the dinosaur/pterosaur/bird branch of the Archosauria (Avemetatarsalia), were in the evolutionary shadow of the crocodile branch of the “ruling reptiles” the Crurotarsi, for much of the Middle and Late Triassic. If you were able to interview a Coelophysis or a Tawa (both dinosaurs from the famous Ghost Ranch location of New Mexico), they would have described an ecosystem dominated by other types of Archosaur, not dinosaurs. With the exception of the abundance of Coelophysis specimens, there are relatively few dinosaur fossils from the Ghost Ranch location, dinosaurs may have only made up around 20% of the terrestrial fauna. A flock of Coelophysis descend on a waterhole (Ghost Ranch). After the End Triassic mass extinction event, it seems to have been a different story. The dinosaurs seem to have rapidly risen to dominance and soon the landscape was being dominated by giant herbivores such as the long-necked Cetiosaurs and the first super-sized carnivores such as Dilophosaurus, Cryolophosaurus and the first of the Megalosaurs. The Reading University team modelled the spread of the dinosaurs by reconstructing the dinosaurs’ ancestral locations (using South America as the starting point for the dinosaur radiation), they then examined the spatial mechanisms that underpinned the spread of the Dinosauria. The research shows that the speed of this expansion meant that the dinosaurs quickly became cosmopolitan and subsequently ran out of land. This lack of space then seriously impeded their ability to produce new species. 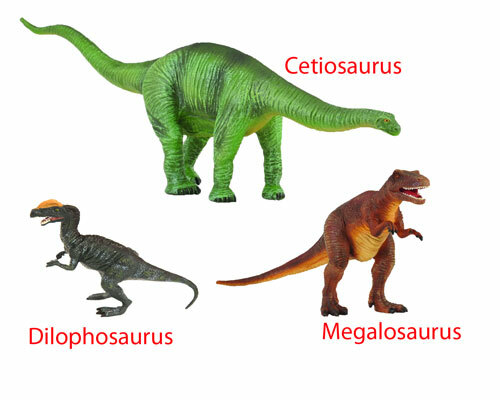 Examples of some of the larger dinosaurs from the Early Jurassic. This new study, published in “Nature Ecology and Evolution”, builds upon previous research from Reading University, published in 2016, that concluded that the dinosaurs were in decline around 50 million years before the mass extinction event that saw the demise of the non-avian forms. The Reading University team developed a novel, statistical analytical method to help reveal where the ancestor of every dinosaur species lived. This data was plotted onto a three-dimensional world map. The analysis revealed that the dinosaurs spread virtually unchecked across the landmass of Pangaea at a rate of 1,000 kilometres (600 hundred miles), per million years. 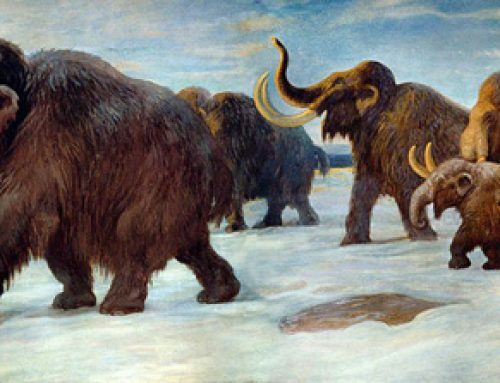 They dominated every terrestrial habitat, across the globe as the supercontinent of Pangaea broke apart. As the space left available for the Dinosauria to expand into was used up, the evolutionary driver for the development of new species might have changed. The scientists conclude that dinosaurs initially diversified into new kinds driven by the expansion into new environments and habitats, but this driver for change was gradually replaced by sympatric speciation (new species evolving to exploit new niches within their existing environment). This fundamental change in the way that dinosaurs evolved could have left them vulnerable to global catastrophes such as the extra-terrestrial impact event and the subsequent climate devastation that occurred some sixty-six million years ago. Cataclysmic impact event that led to the extinction of the dinosaurs. The scientific paper: “Dinosaurs Reveal the Geographical Signature of an Evolutionary Radiation” by Ciara O’Donovan, Andrew Meade and Chris Venditti published in Nature Ecology & Evolution. Everything Dinosaur acknowledges the help of the University of Reading in the compilation of this article.